Here I am going to write about my year as an exchange student. Both before (preparations etc), during and the life after this experience! But first I am going to tell you all a little about myself. My name is Klara Strand and I live in a small location in southern Sweden. I am 16 years old and have just finished off 9th grade. I start school August the 20th. I am going to study Social studies at International Baccalaureate, a programme with all classes in English, to prepare myself for my exchange year. I will become an exchange student in the USA, but I do not know where yet. I will travel year 2013-2014. I know it may seem early to start a blog already, but I could not wait, I love to blog haha! And now I have time to look over my blog and see how I want it to look. I have filled in my temporary application form, it got confirmed, and now I am filling in my final application form. It's a lot to do, you have got to write about yourself, answer different questions, send your grades etc. I have to travel all the way to Stockholm just to get my visa.. I applied just recently and I am so excited! How can I wait a whole year.. But it will be fun to, meet new classmates and stuff. I just hope I won't regret it, but I seriously doubt that! I think this will become an experience of a life time, one of the best decisions I will ever make. But I have to prepare myself for that it might not (probably) be what I expected. I think many people imagine a big luxorious house in Beverly Hills or something like that, but then they come to a tiny house in Texas for example. I have thought that thought too, but I think it'll be fun either way. Many people say that if you get to California/New York for example, you won't experience the true American life in the same way as in another state. There you will be like a 'tourist' the whole year. And you may get to a school where there's so many people no one even notice you've arrived. If you get to a small town everyone will know who you are, and you will BE someone. So now I kind of want to get to a small town as much as California! But also, you can much easier visit California anytime you want as a tourist, but how often do you experience a true little american location without any tourists? Before my journey I do not think there will be many posts, just when something interesting happens like when I get my hostfamily and if I have any advices to you all. It would be fun with a lot of readers so tell your friends about this blog! If you are curious about anything you can just ask me and I am sure I will answer you! My two best friends. 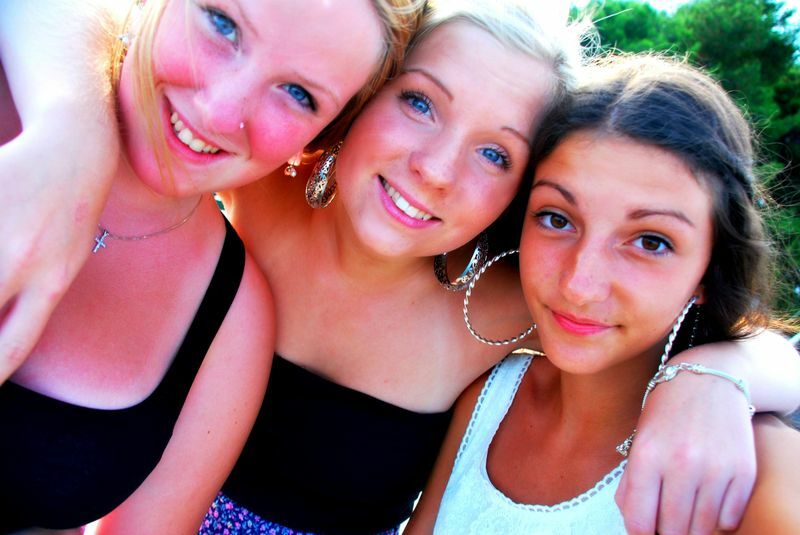 From the left; Ebba, me and Iva.